We take a holistic approach to education and endeavour to create an environment in which students can grow and mature spiritually, physically, socially, intellectually and emotionally to become valuable members of their community. Students are encouraged to develop their individual talents and are prepared for entry into the various third level colleges or to the world of work. Pastoral care is a central component of school life and each student is accepted for who they are, regardless of ability or social background, while embracing all religious denominations. And we are immensely proud of it! Scoil Mhuire gan Smál is a Catholic voluntary secondary school founded in 1952 and now under the trusteeship of the Diocese of Cloyne. It combines a strong emphasis on academic achievement with a caring attitude to all its students. Our school recognises each child as an individual with different needs, abilities and learning patterns. Help each child fulfil his/her potential regardless of background, ability or gender. Provide a secure, stimulating and caring environment with the teaching of Christian ideas and important aspects of school life. Develop desirable qualities such as self-esteem, enthusiasm for learning, leadership, caring and consideration for others. Provide a structure for the growth and development of every child through all facets of school life. At SMGS, we pride ourselves on recognising the ever changing demands of our student body and offer support as well as adapting our programmes in order to best prepare students for exams and to develop them into mature and responsible adults before they embark on their futures in University, their professional career or enterpreneurship. Students are offered at wide range of subjects to ensure the complete spectrum of students' interests and abilities are catered for. We also adopt a mixed ability approach and recognise the student's individual needs. Science and IT development are a proud linchpin of our curriculum. Among other achievements, we participated in the CanSat competition where we qualified for the European final in Portugal. Transition Year is offered on an optional basis to students who have completed the Junior Certificate. 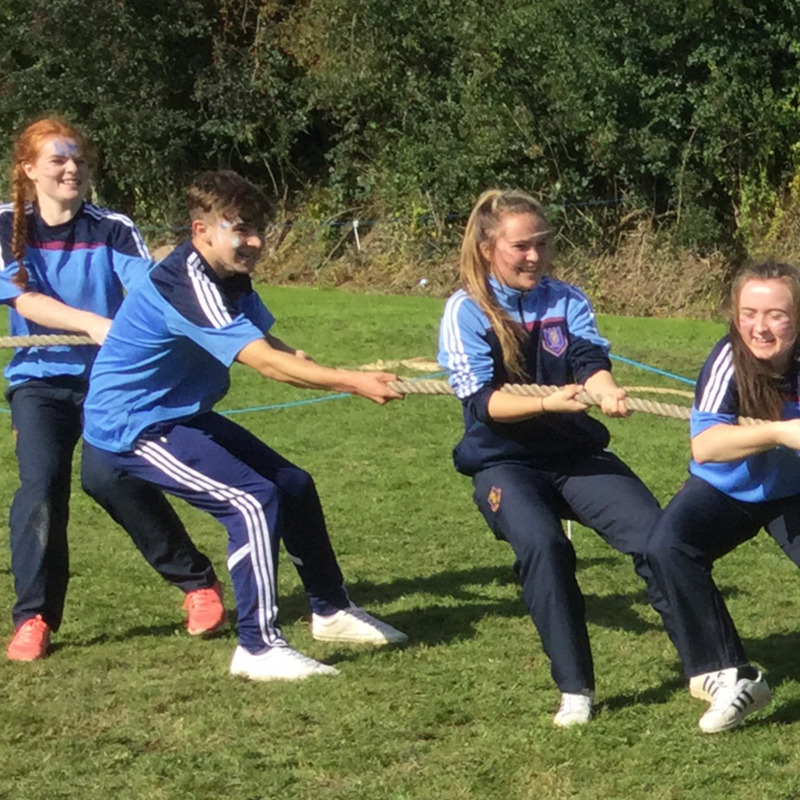 TY has proved itself to be invaluable to students in identifying and developing their personal strengths and skills. It lays a very solid foundation for Leaving Certificate while encouraging personal growth and maturity. Delivering on our mission - every day. We have always been impressed by the commitment to the school by our dedicated staff. The result of their hard work creates a teaching and learning environment inclusive of all of our students’ needs. Scoil Mhuire gan Smál is an innovative school drawing on the talents and skills of the entire school community to provide a host of educational programmes and projects. Wholesome participation is encouraged in the extensive range of extra-curricular activities on offer and care is also taken by our team to ensure the well-being and happiness of each and every student in the school. "More students, More active, More often"
We consider the emotional aspect of each student's life as important as their academic success. There is a strong pastoral team in the school with two guideance counsellors on hand to help and support students with both future career choices and personal issues. SMGS has many formal structures put in place to aid and support each new student's arrival to the new school environment. We also offer resource teaching and special needs assistance for students that require it. We are proud to display our Amber Flag, presented to the school for our ongoing commitment to promoting positive mental health in the school community. On the 17th September 2014 the Green Flag Committee raised their first Green Flag which was awarded for litter and waste management. Over the last two years tremendous work has been carried out by the Green School committee in combating litter and waste. Specially designed recycling and waste units have been assembled throughout the school, awareness campaigns have been held which included a bottle buster competition for first years, a Day of Action and various talks given by Cork County Council and An Taisce. A second flag was received in 2016 for energy conservation folowed by a third flag in 2018 for water conservation. The Committee are now focused on achieving a fourth flag for reducing the carbon footprint invovled in the students travelling to school each day.